What if you could remix your laugh from fake to ‘real’? We fake laughter all the time. We do it to be polite, hide our ignorance, and even to fit in. Our social interactions sometimes depend on it. 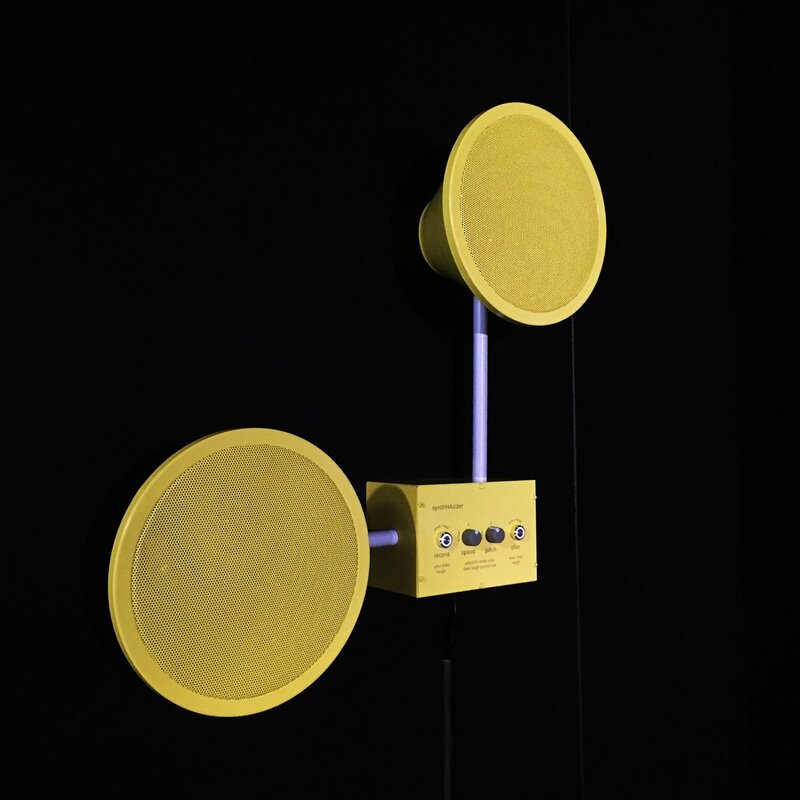 The syntHAsizer is a tool for playing with this verbal display of communication. With it, visitors record their own fake laugh and use sonic filters to remix it from fake to real. We don’t know how fake laughter evolved, but we do know it is part of our speech, and follows specific sonic patterns. Unlike real, guttural laughter, fake laughter is ‘spoken’, and we’ve learned to recognize its forgery. Studies show that fake and real laughs vary in speed, pitch, breath sounds, and crescendo—and this is consistent across cultures. On view March 2nd-June 3rd 2018 at Science Gallery Dublin. Project created in collaboration with Thomas Wester and Greg Bryant. You can listen to a radio interview about the project and IFCI with Norma Burke on near.fm. We actually get better at discerning real from fake laughter as we get older, peaking in perception in our late 30s. The most important sonic variable known so far is speed—laughs that are sped up or decreased in duration by 33% sound more real. And this means we also get better at figuring out the social motives of fake laughter. With the syntHAsizer, gallery visitors record their own fake laugh, remix the speed and pitch, play back their ‘real’ laugh, and keep tuning until they perceive it as ‘real’. Do we want AIs to produce ‘real’ laughter? As this piece was launched at Science Gallery in March 18, Alexa started laughing. Unprompted giggle fits were reported on national news and people took to twitter, documenting Alexa’s eerie behavior. It turns out we were not comfortable with our digital assistants cackling as they please. Humor is thought to be one of the final frontiers of AI. It is one of our most complex and under studied behaviors. Scientists believe that machine learning would be hard-pressed to catalog, comprehend, replicate, and respond to all types of humor in the moment. The syntHAsizer invites visitors to explore and debate the sonic qualities of fake and real laughter as well as the possibility for AIs to produce ‘real’ laughter.